Catherine O’Donnell has been selected for the 2012 edition of the Martindale-Hubbell Bar Register of Preeminent Women Lawyers. Fewer than 5% of women lawyers have been recognized with an AV Preeminent Rating. This is the second consecutive year Catherine has received this prestigious honor. The rating is the result of a peer review system based on the confidential opinions of practicing attorneys and members of the judiciary. The Peer Review Ratings combine a general ethical standards rating and a legal ability rating based on performance in five key areas: legal knowledge, analytical capabilities, judgment, communication ability and legal experience. This recent recognition by Martindale-Hubbell puts Catherine among the elite women in the legal industry. Visit www.martindale.com for more information on Preeminent Women Lawyers. Attorney O’Donnell graduated from the University of Pittsburgh Law School. She has been recognized as a Pennsylvania Super Lawyer for several years and has been selected as one of the Top 100 Trial Lawyers in Pennsylvania. 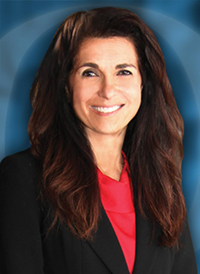 Catherine is an attorney with O’Donnell Law Offices, a personal injury law firm located in Kingston, Pennsylvania. For more information on O’Donnell Law Offices, visit www.odonnell-law.com.